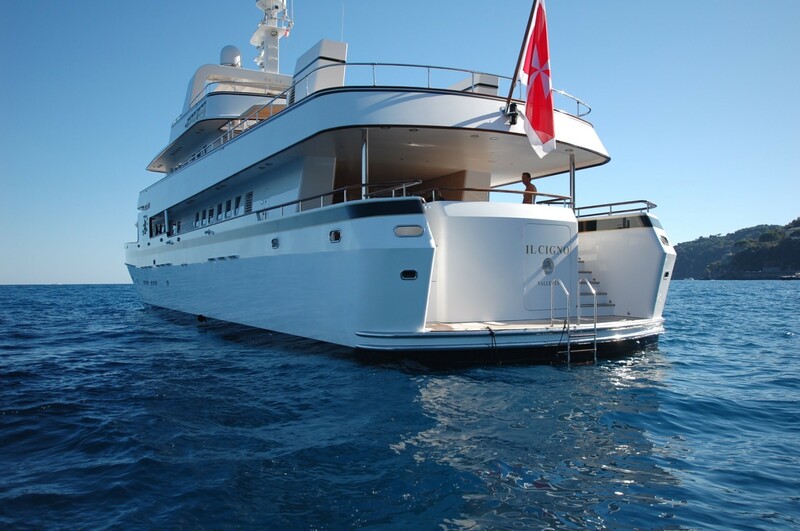 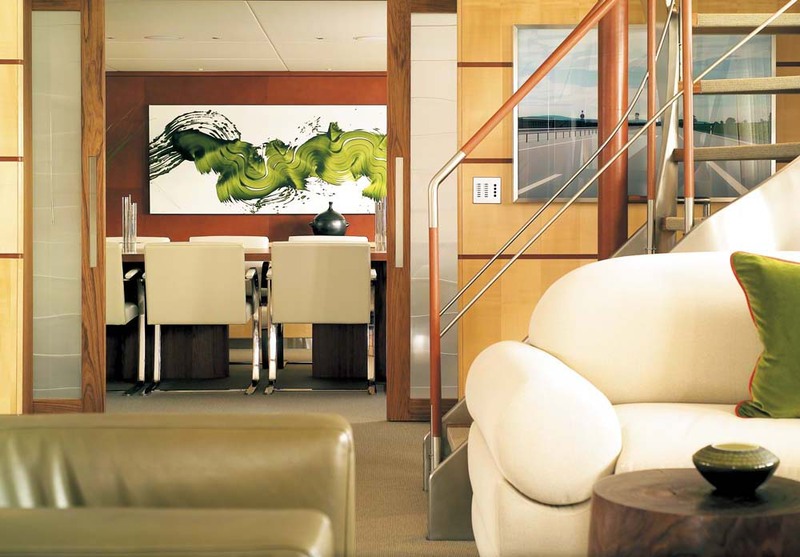 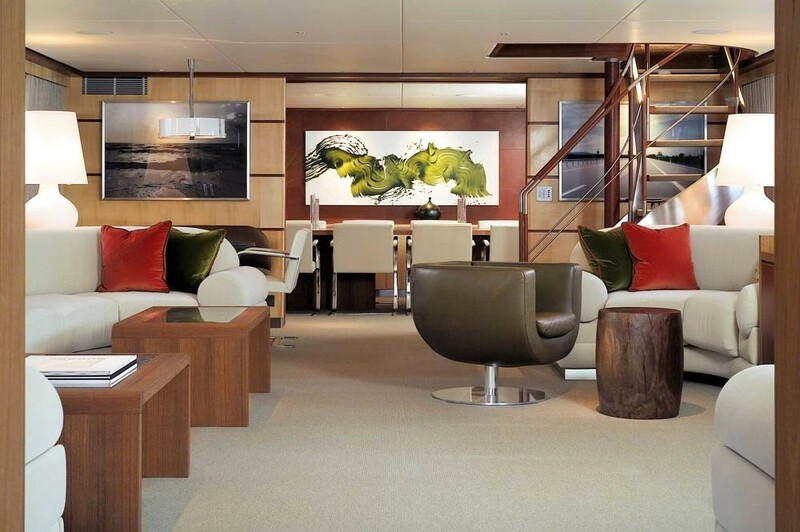 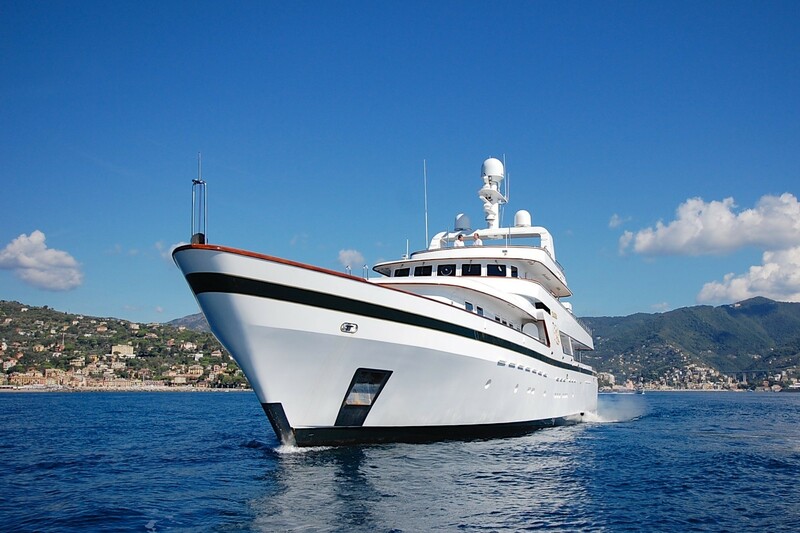 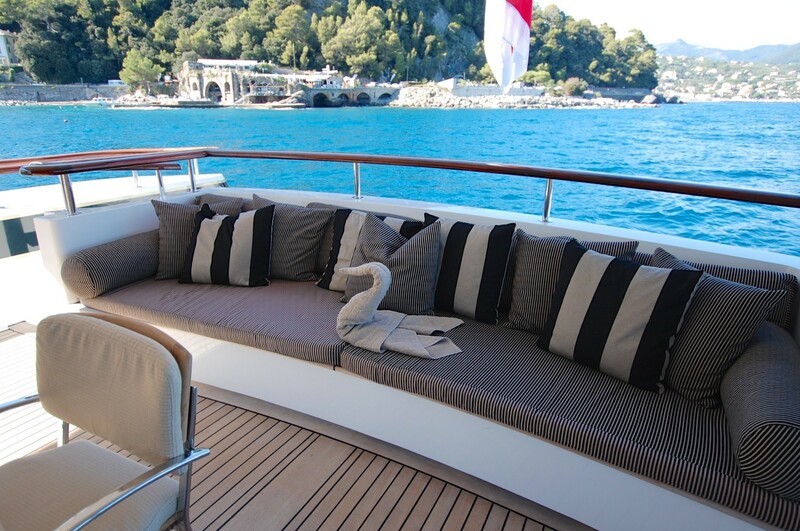 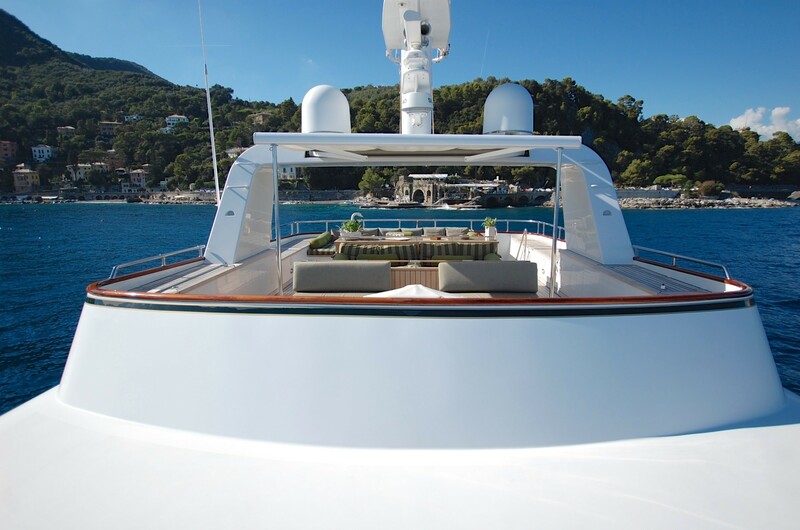 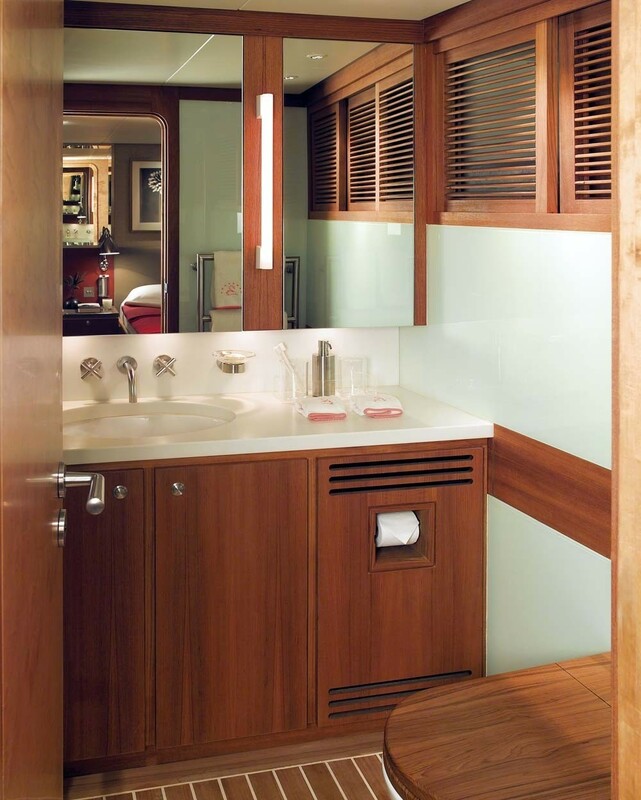 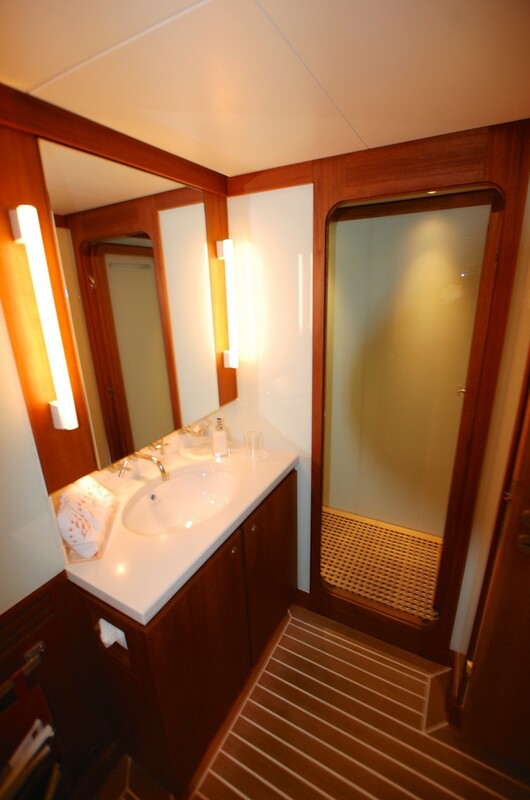 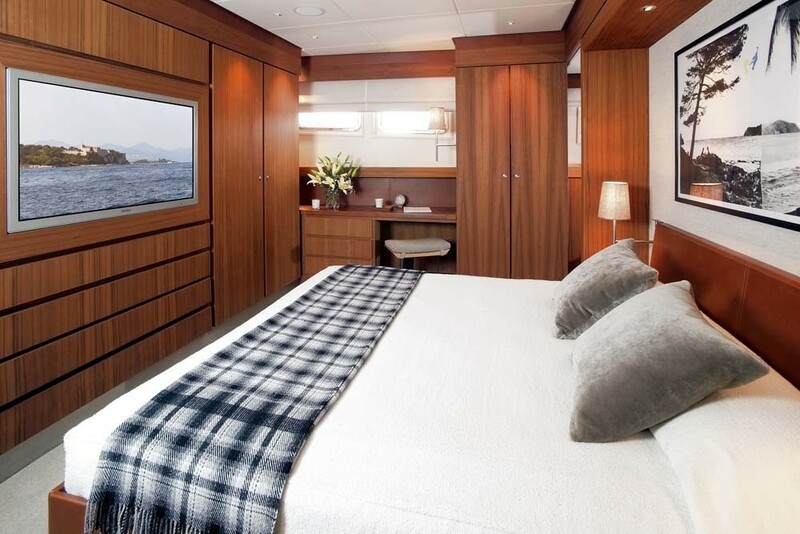 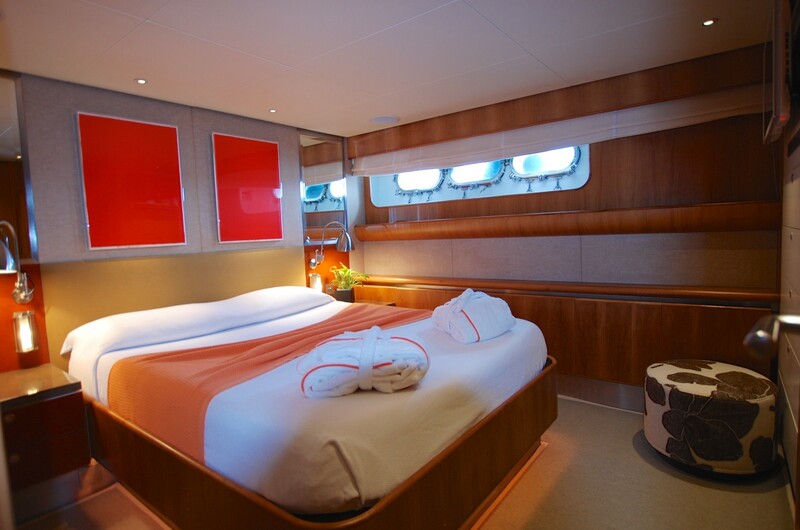 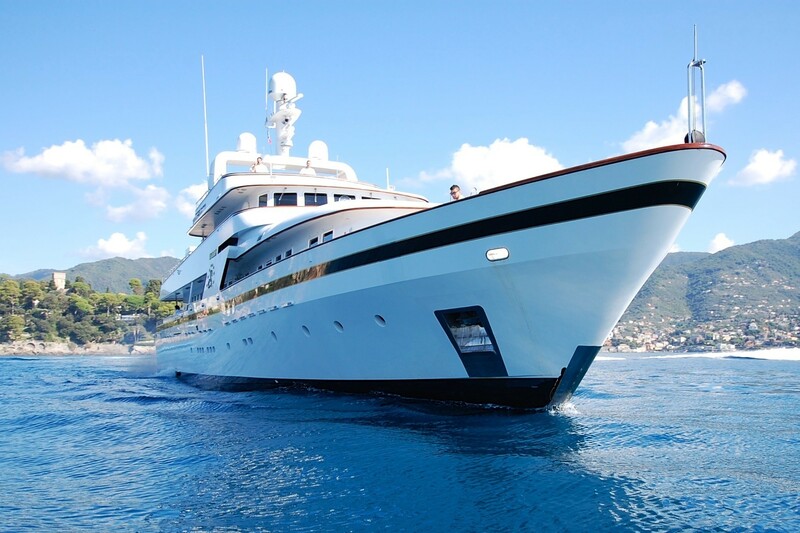 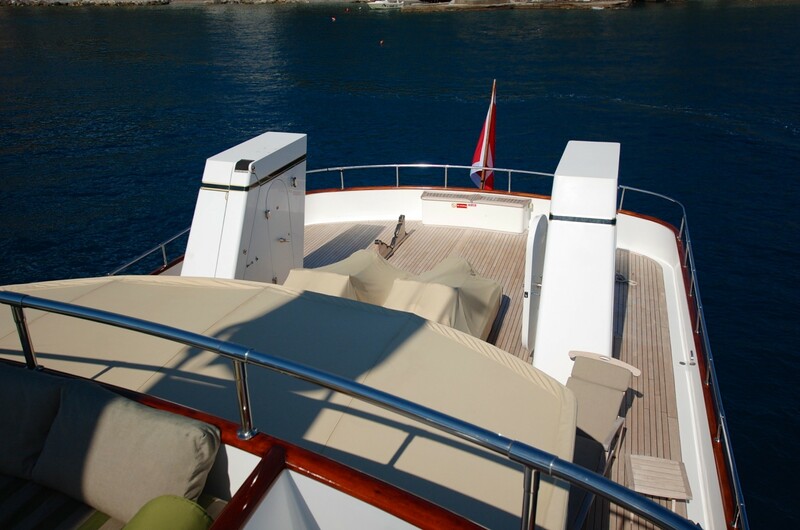 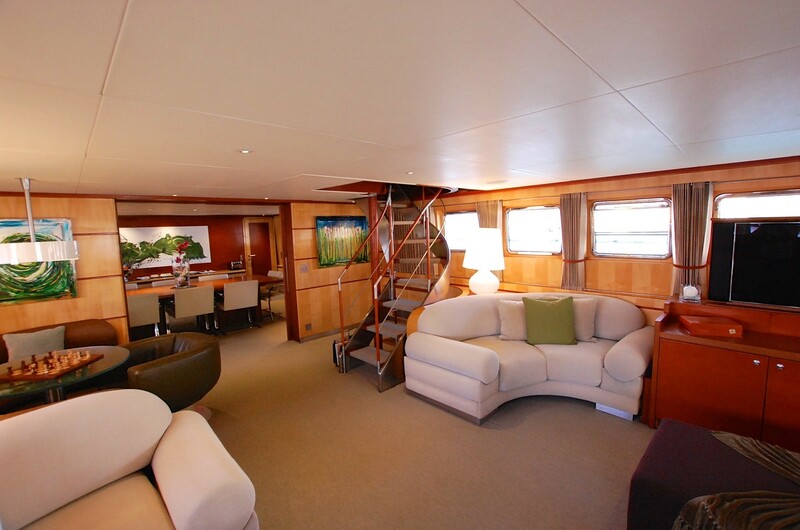 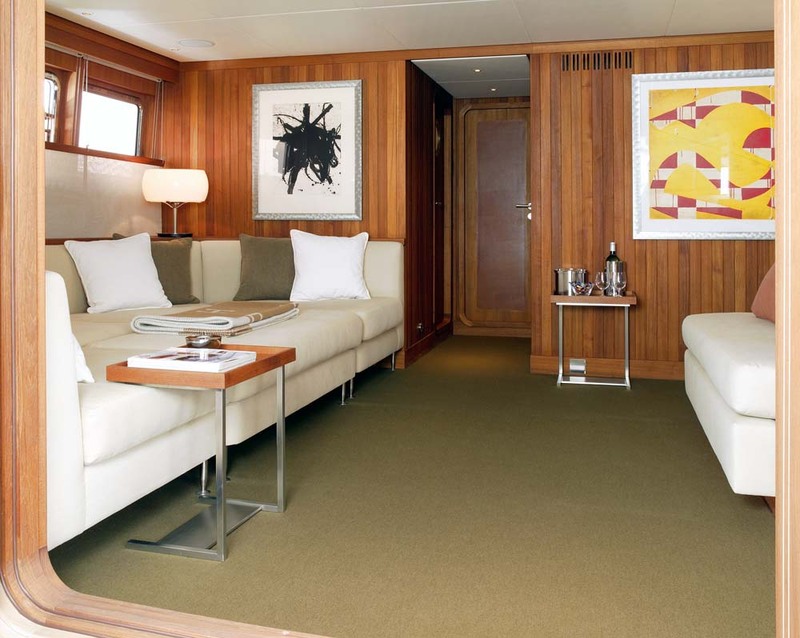 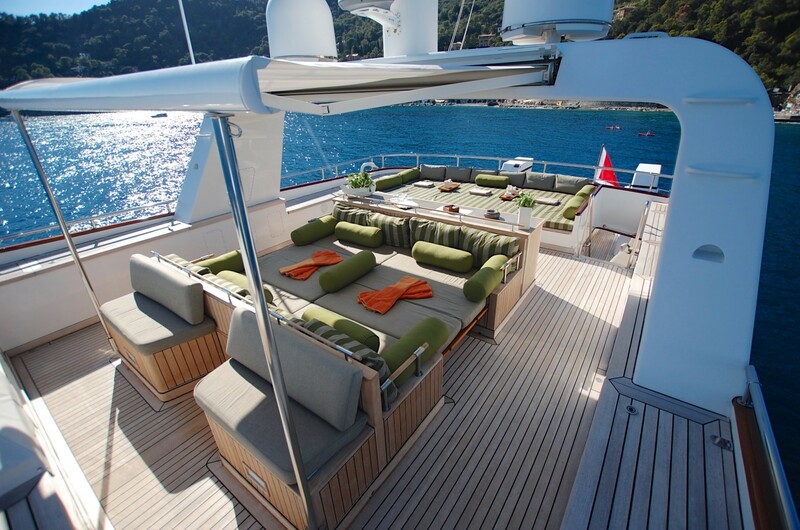 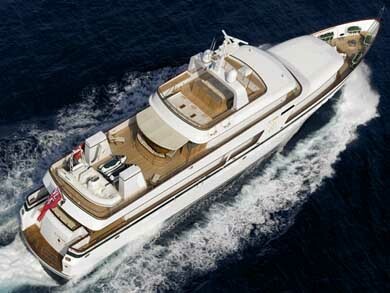 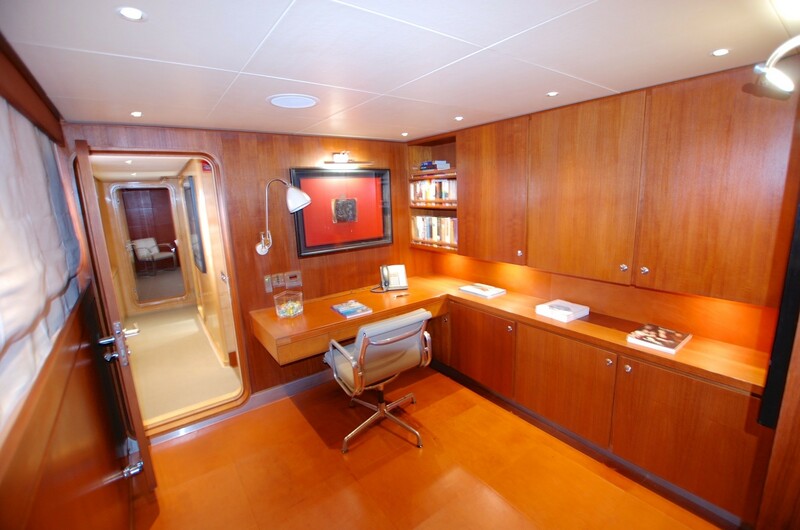 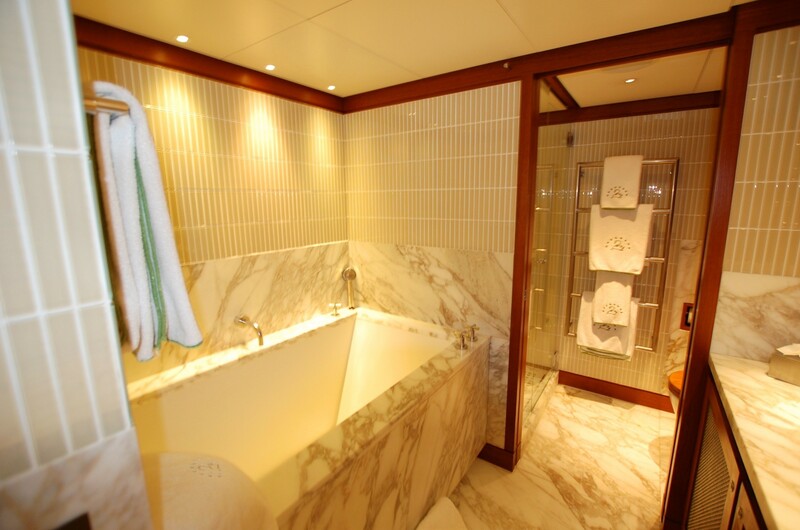 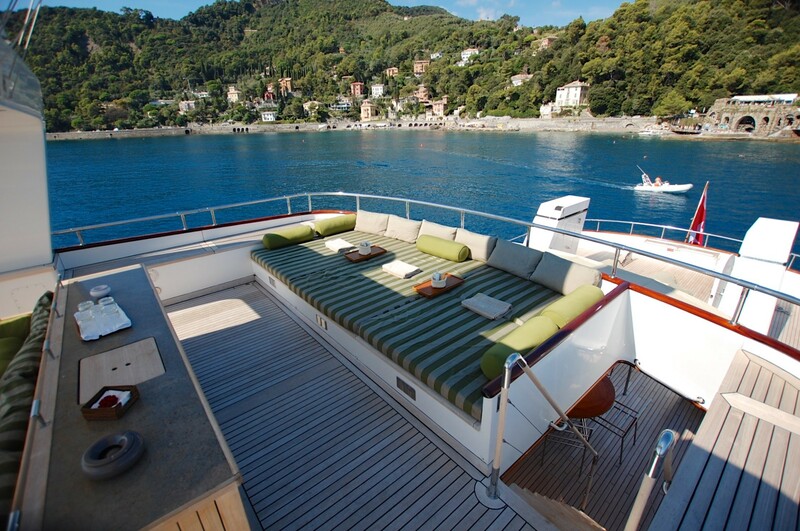 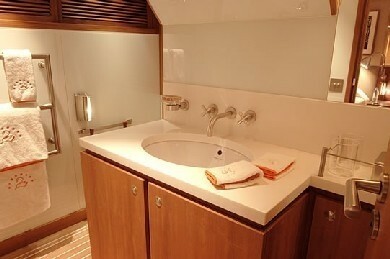 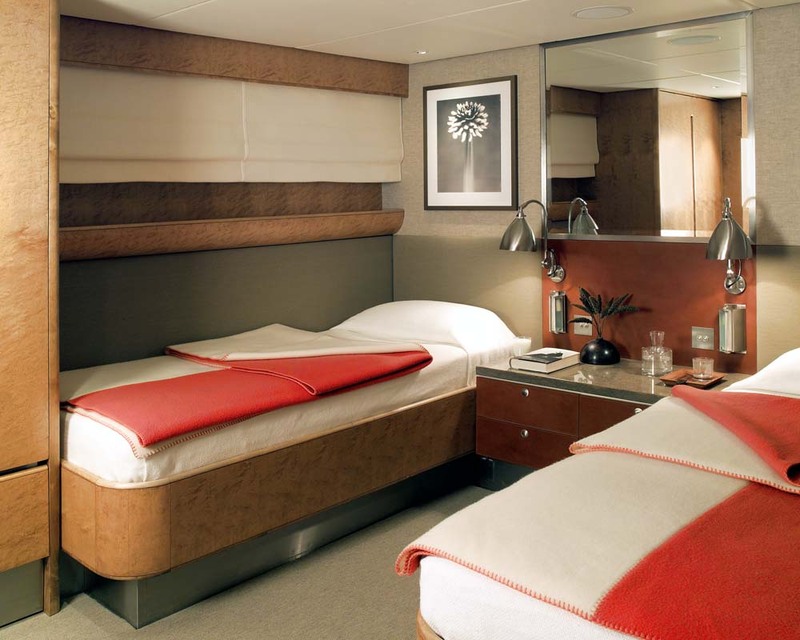 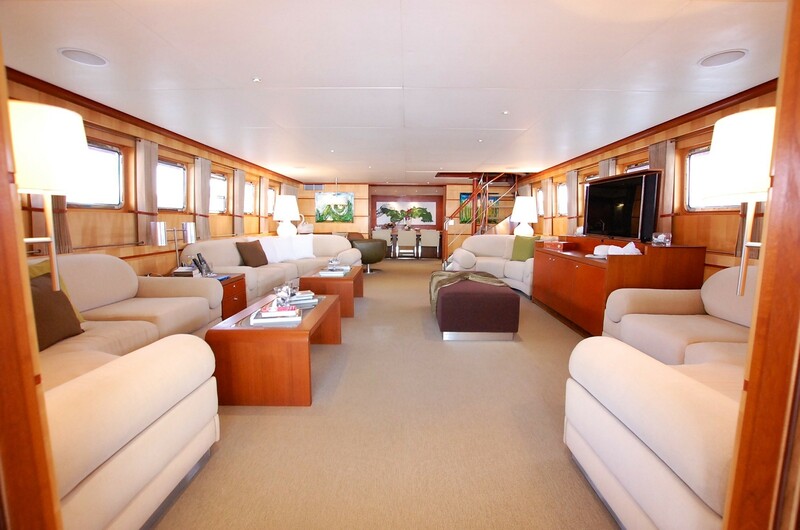 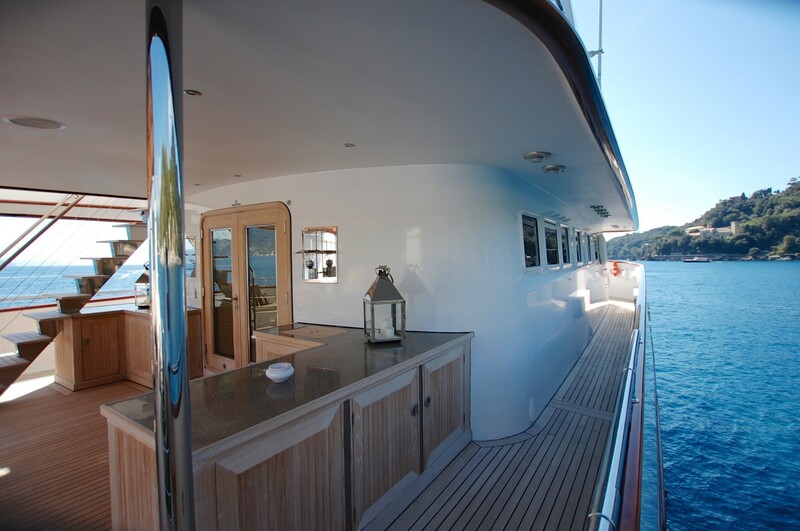 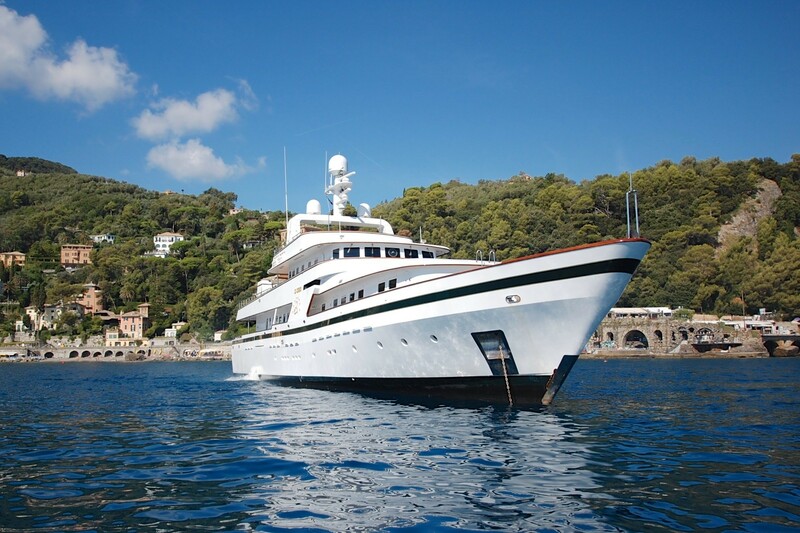 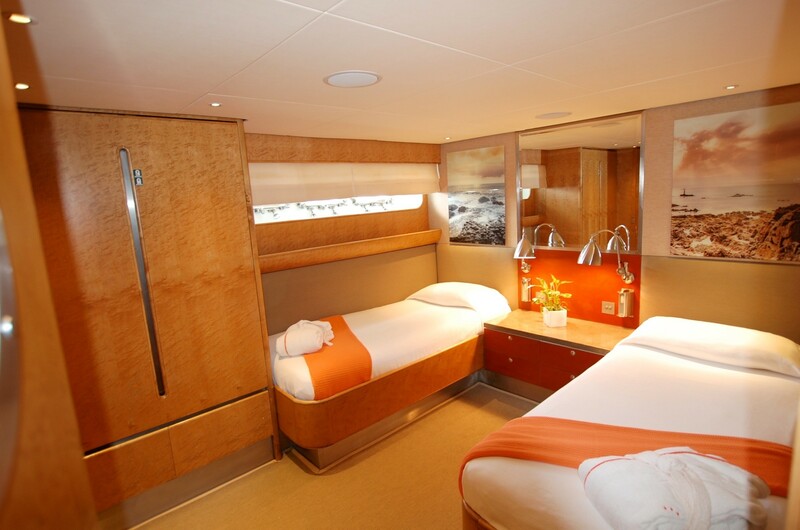 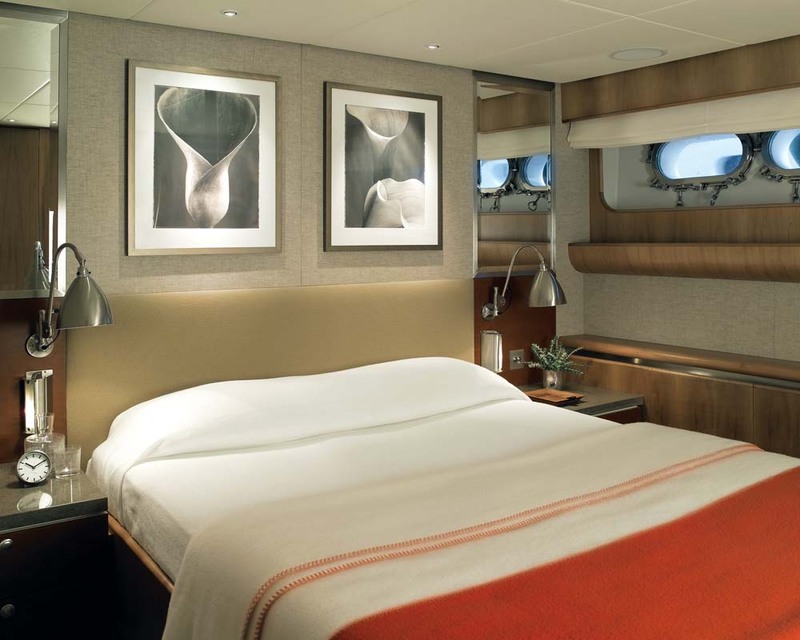 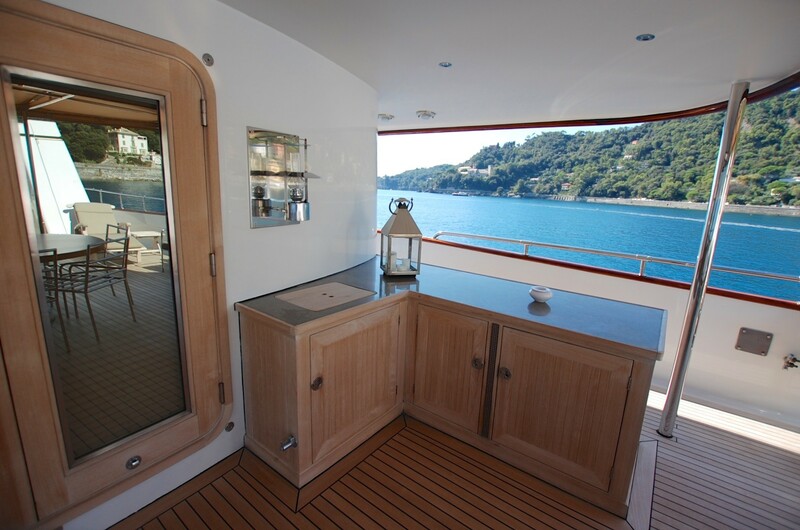 Luxury motor yacht “IL CIGNO” offers a very spacious interior for the accommodation of up to 10 guests. 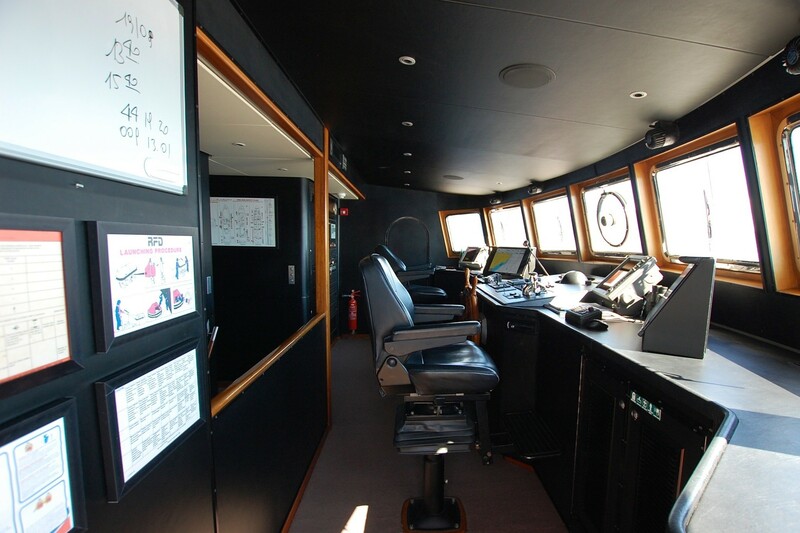 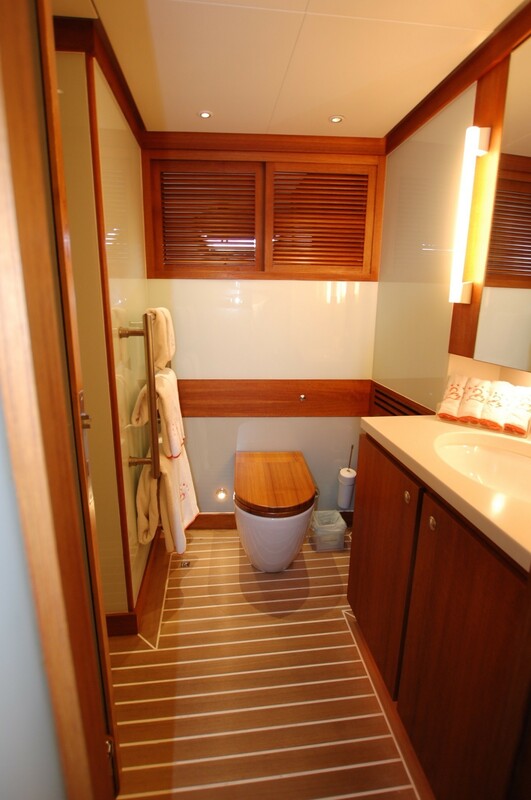 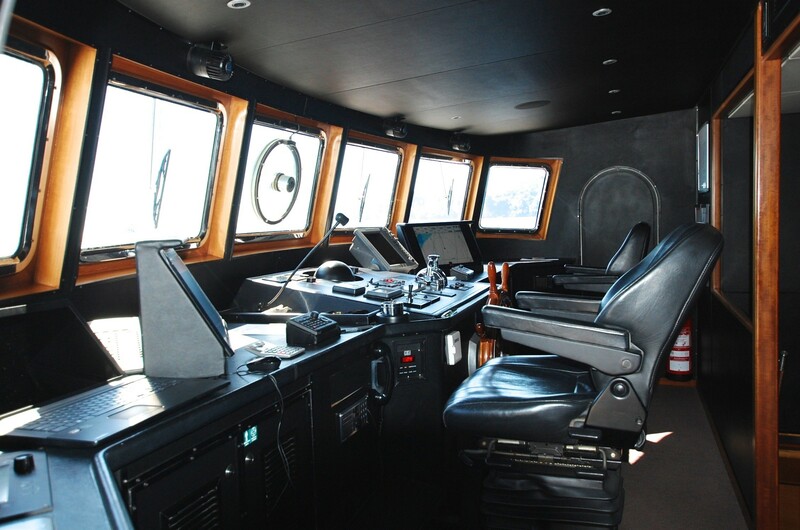 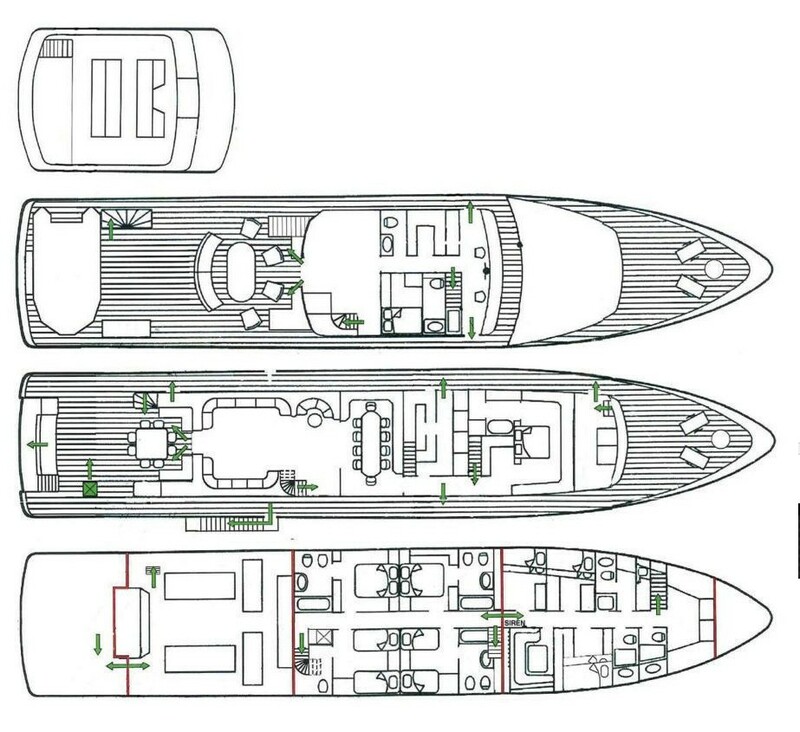 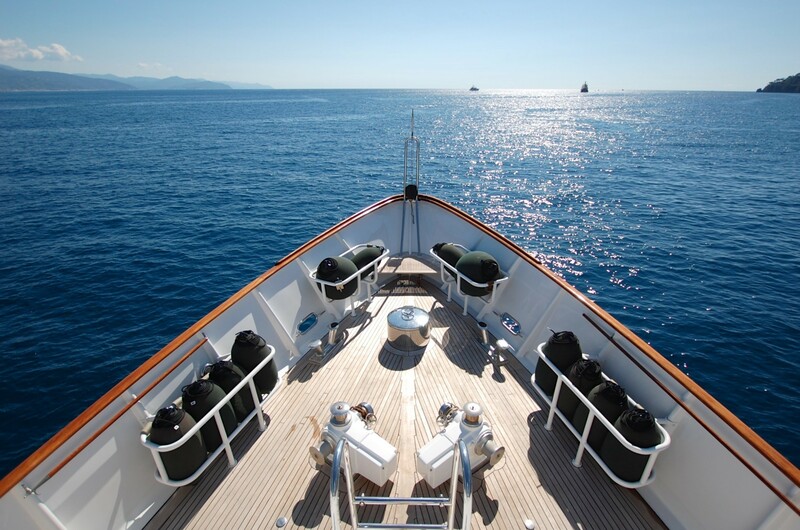 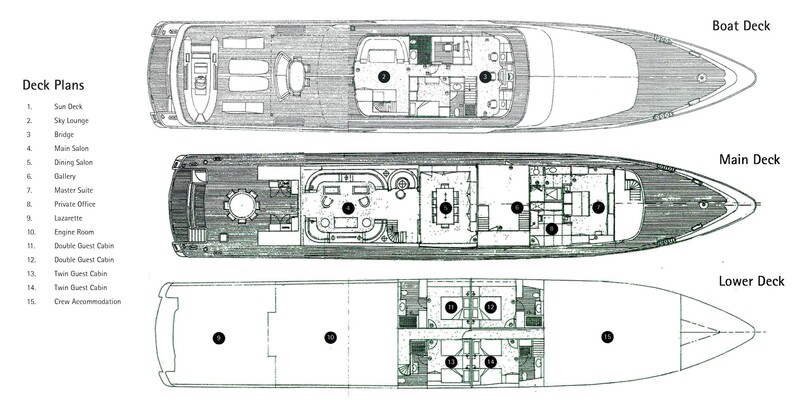 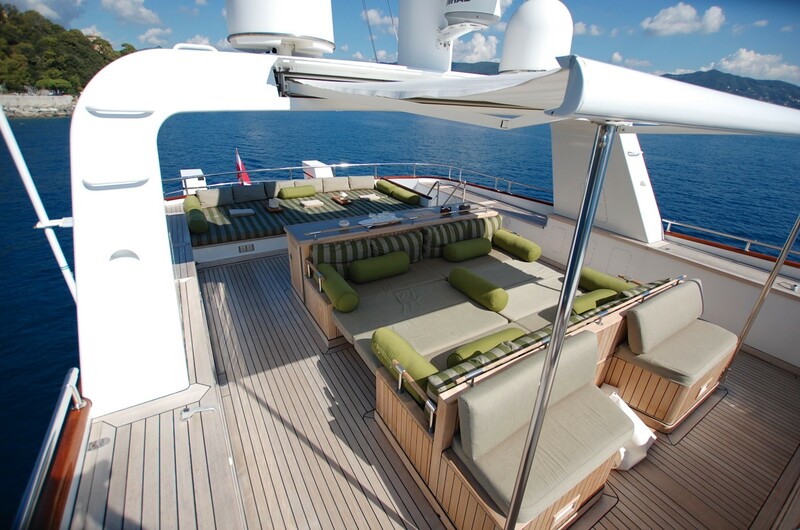 The vessel is set out on 4 separate decks: the lower deck, the main deck, as well as the boat and sun decks. 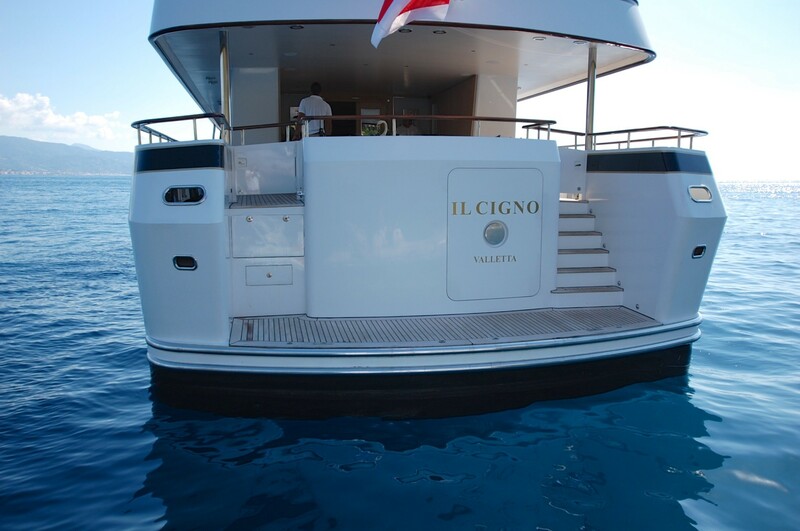 IL CIGNO had was originally launched in 1986 and last refitted in 2016, turning her into a beautiful modern classic yacht, with stylish ambience and luxurious feel to the whole interior of the yacht. 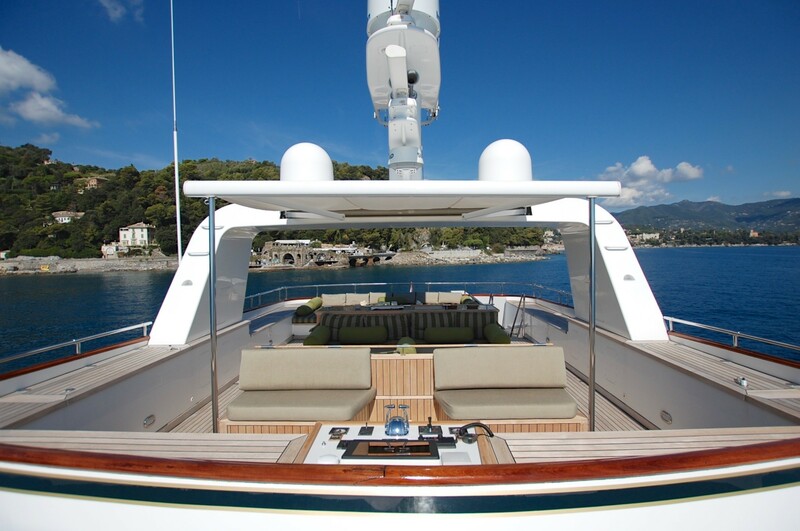 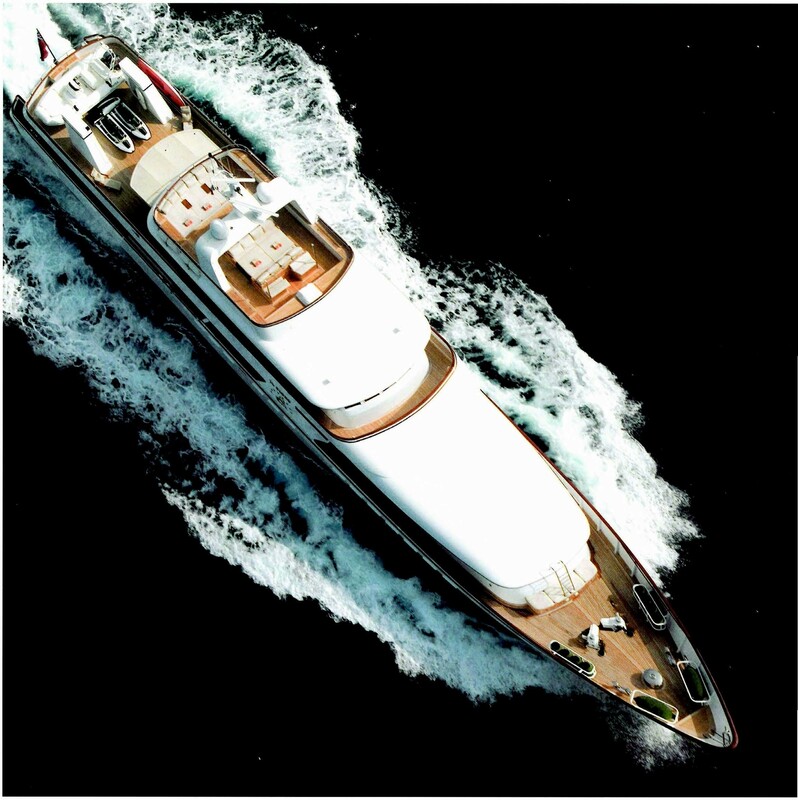 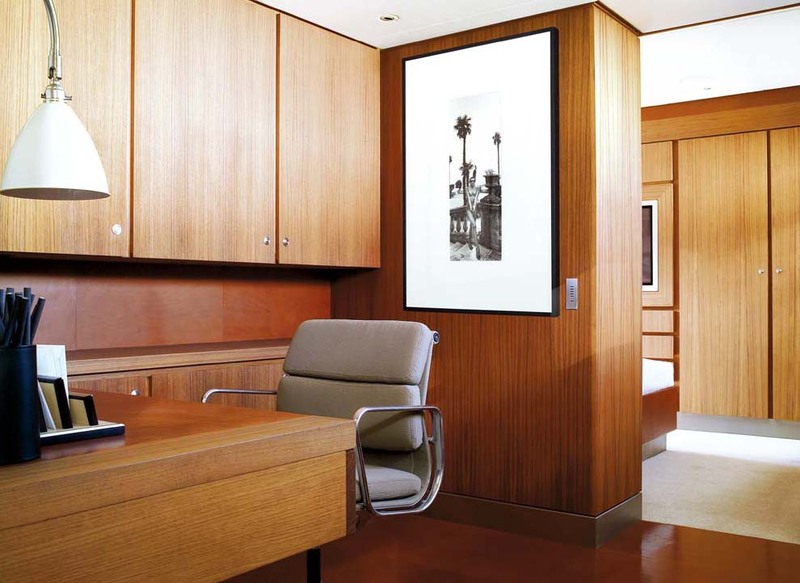 The yacht was built by Cantieri Navali Nicolini and features interior design by Reed Creative Services. 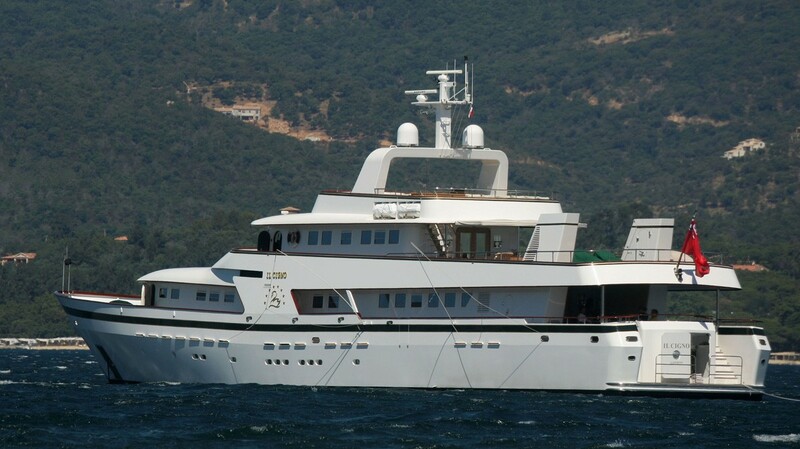 She has a crew of 8. 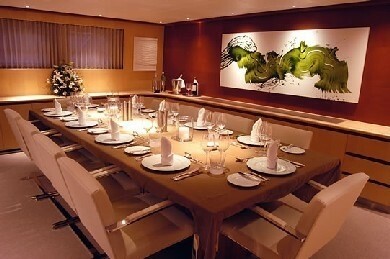 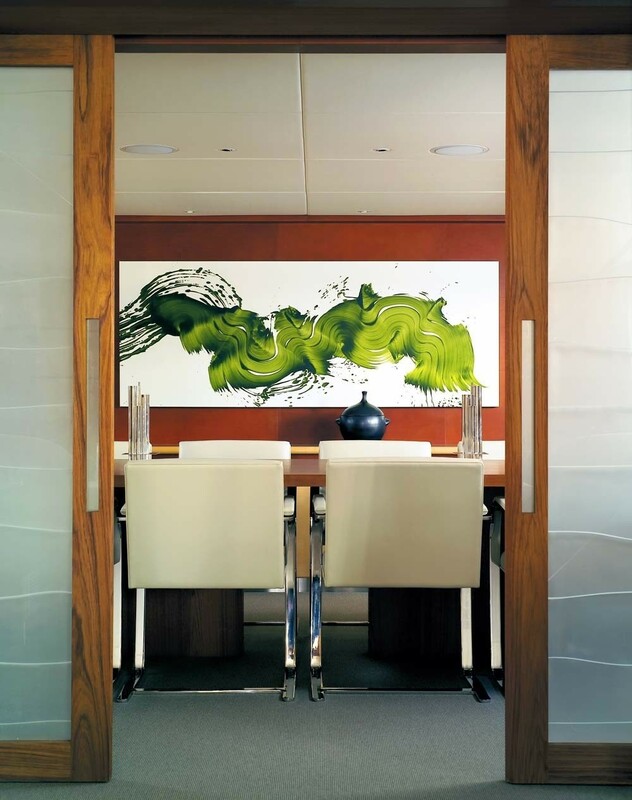 She features an impressively large salon which opens up to an exquisite dining area and entertaining area. 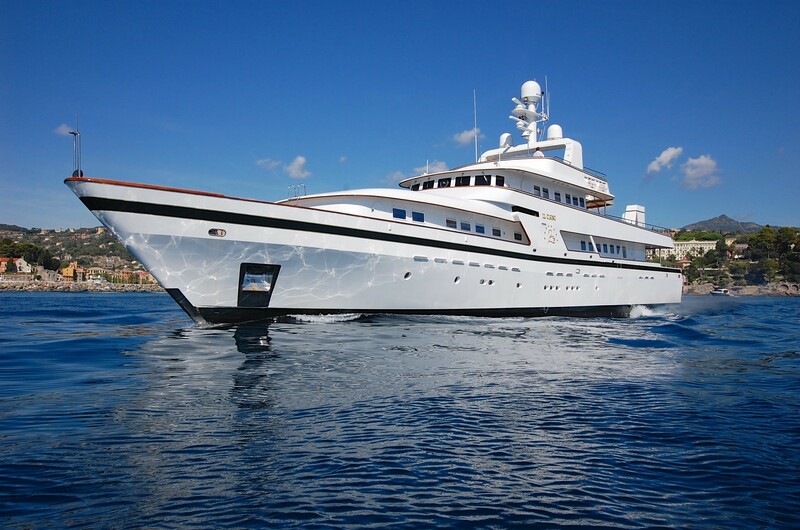 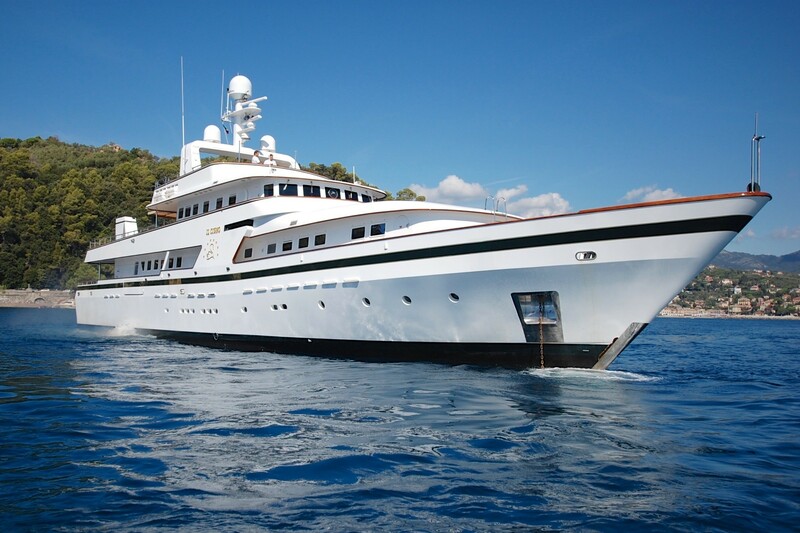 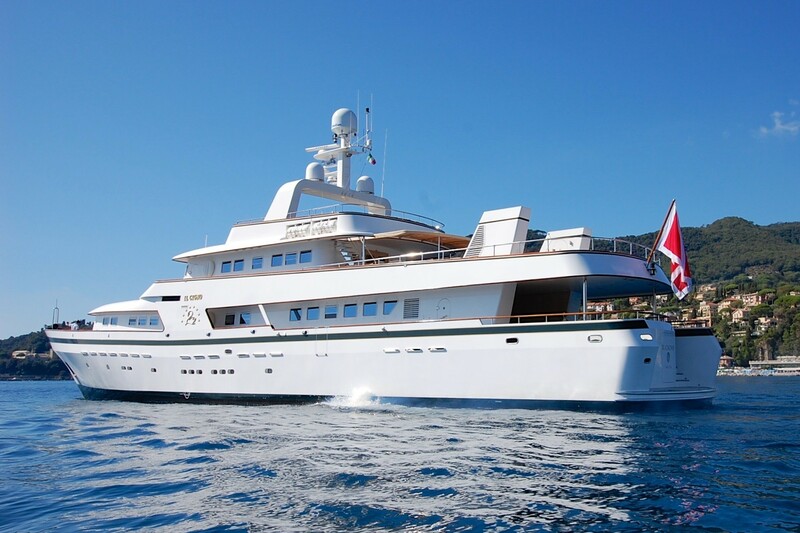 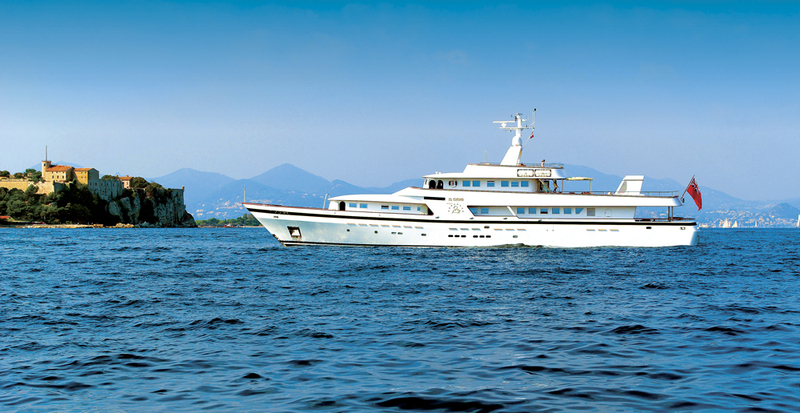 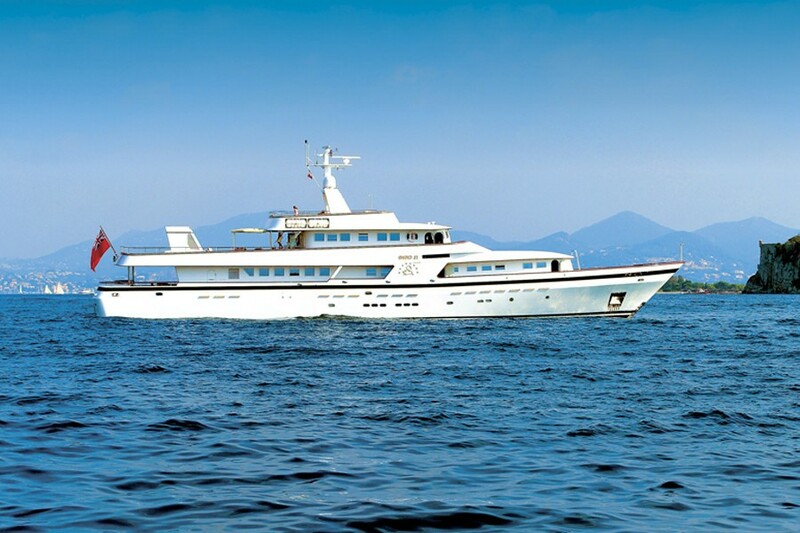 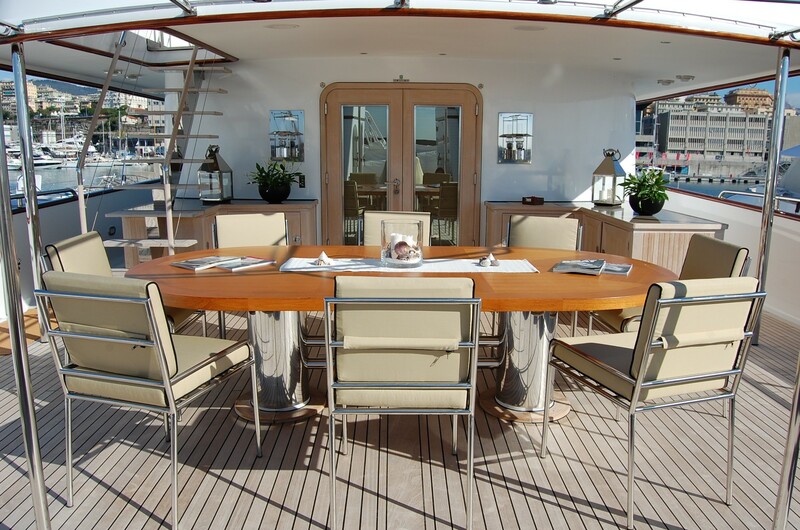 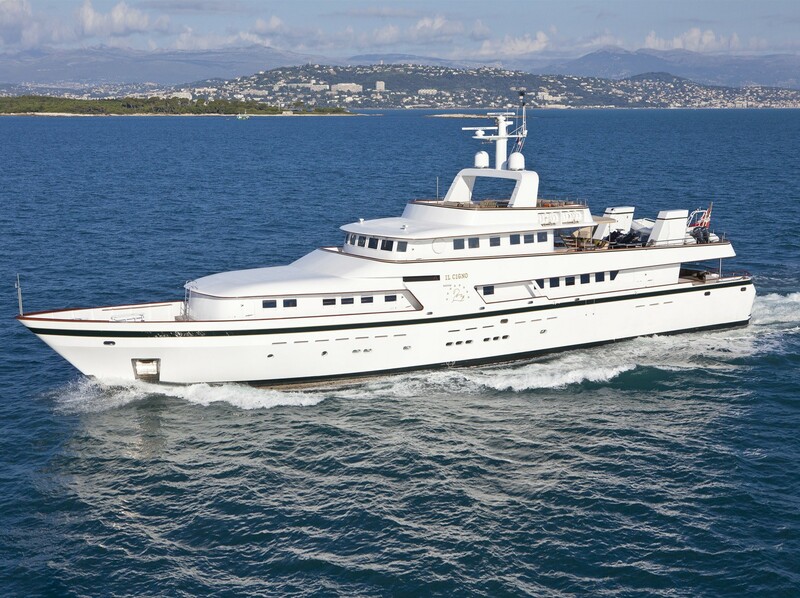 'Il Cigno' also provides four couches and a separate circular games table and her entertainment systems include a large television which screens Satellite, DVD, VCR and music - all controlled simply through a touchscreen remote control. 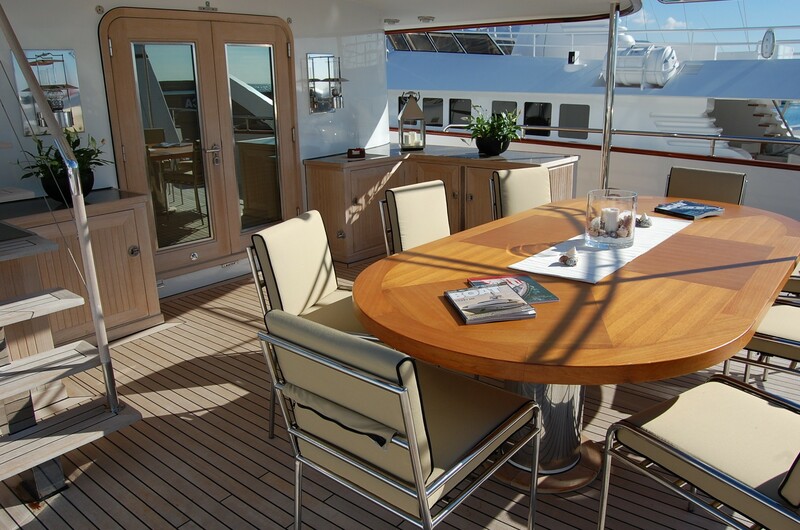 On board luxury yacht 'IL Cigno' her owners have the choice of a very relaxed & open plan dining area inside or a completely private space for more intimate occasions. 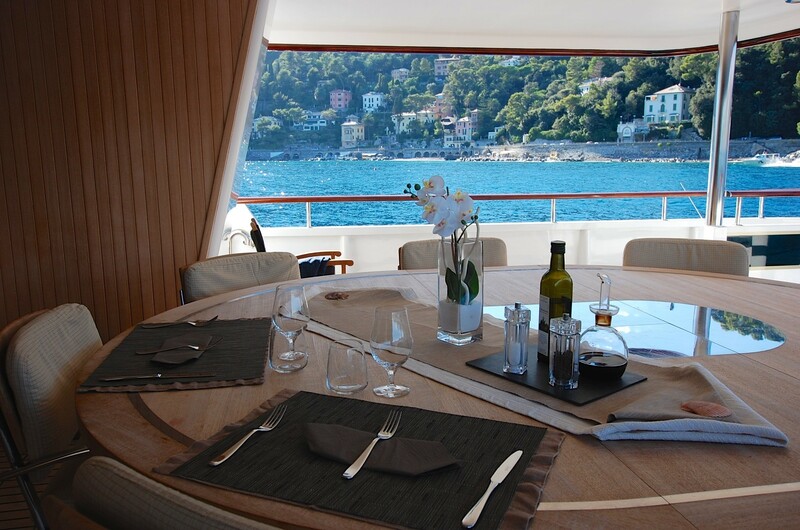 On the boat deck, she offers a completely private al fresco dining area, which the ideal spot for leisurely lunches, or to set the scene for a lovely romantic moonlit dinner. 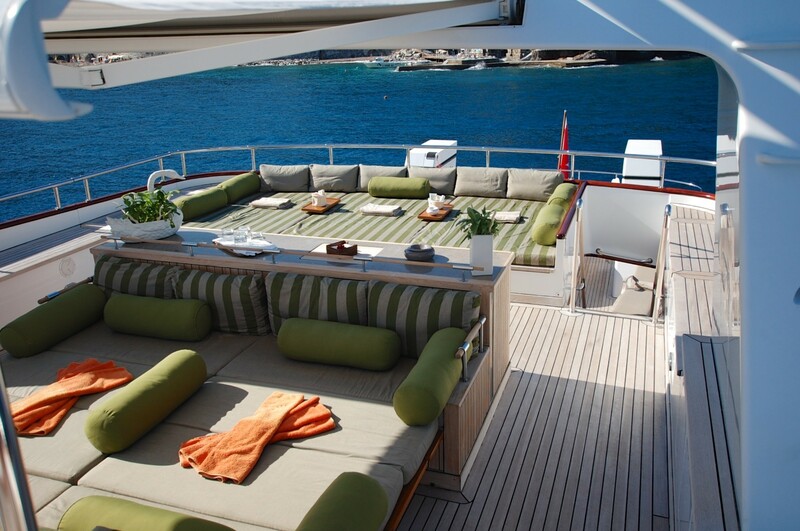 There is also direct access from this deck into the sky lounge which boasts a full reclining area and large screen entertainment system. 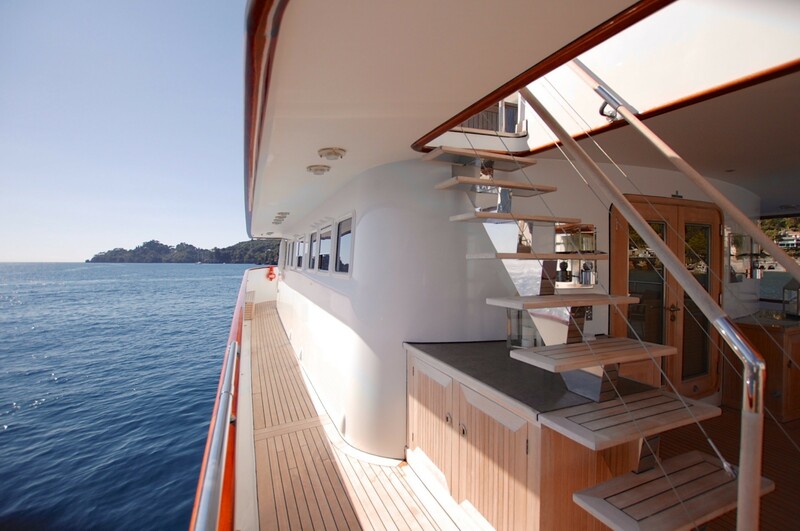 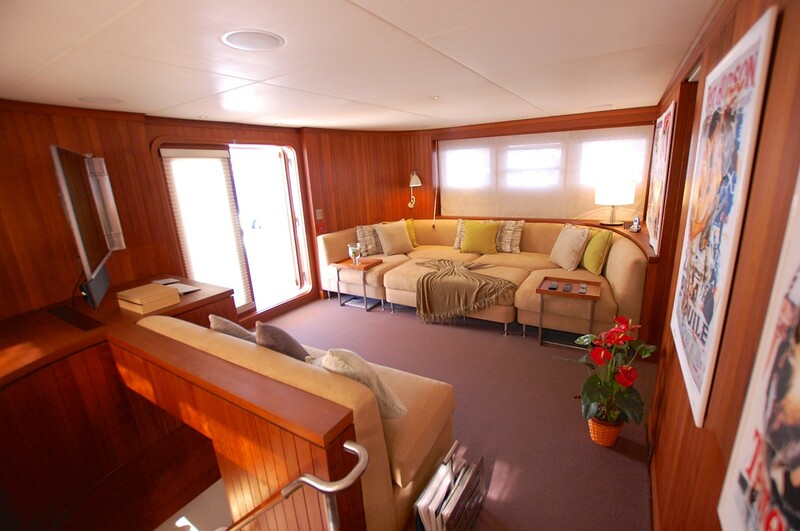 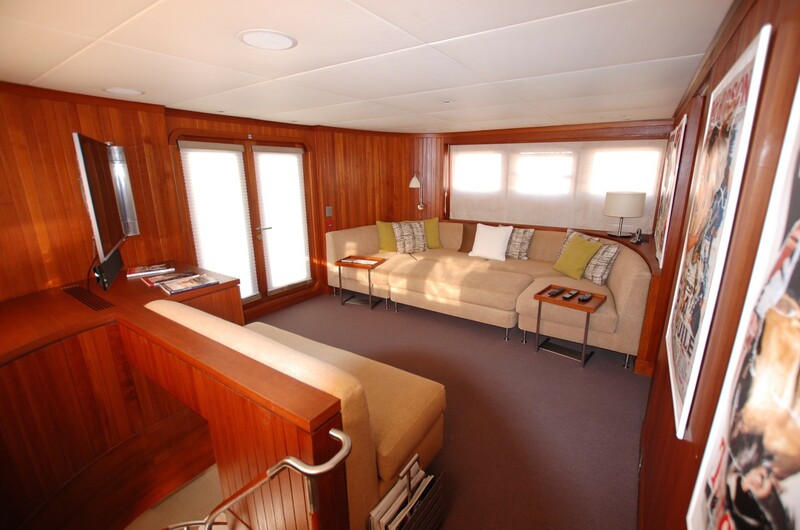 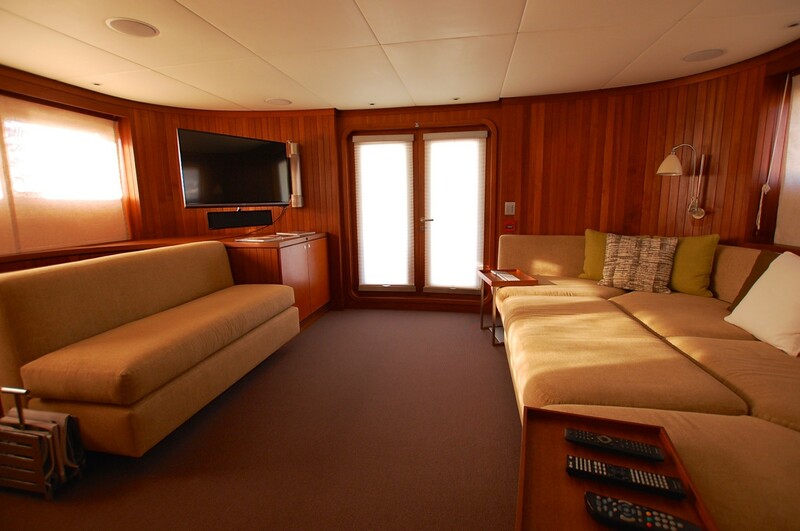 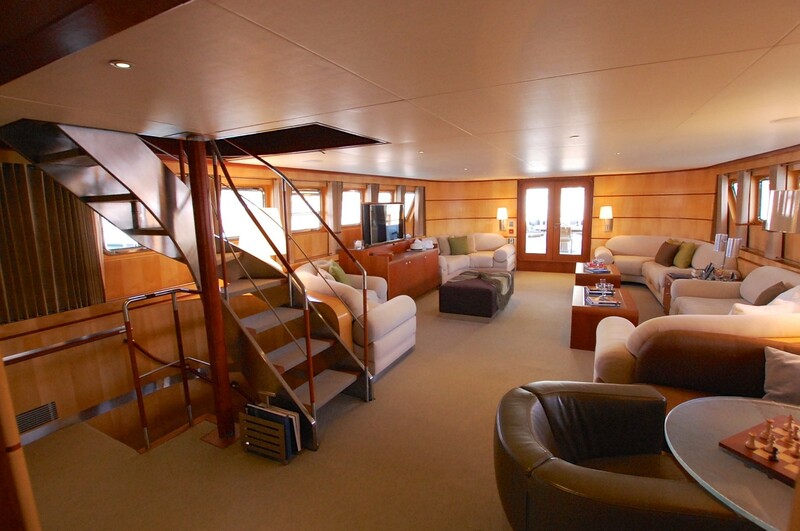 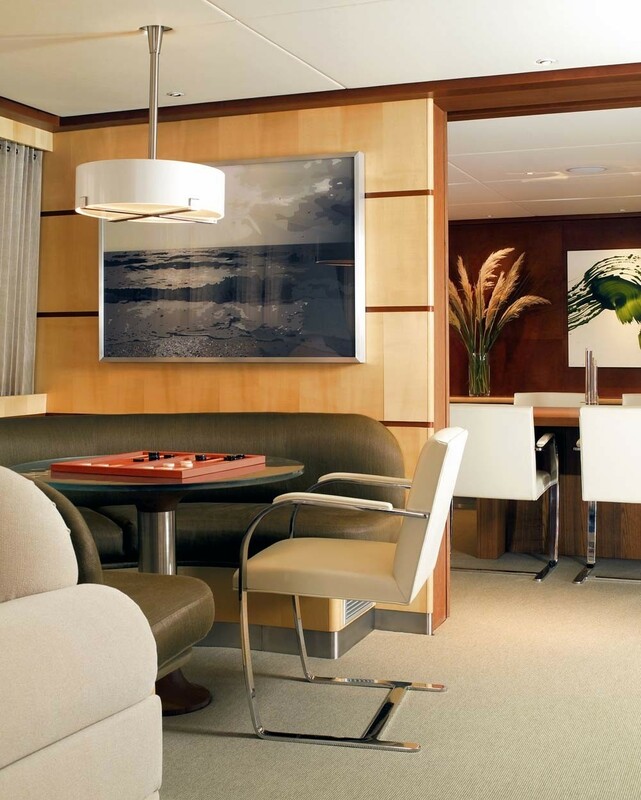 Her huge shaded aft deck, which was recently extended, provides a relaxing haven to chill out after an energetic day on the water jet-skiing, water-skiing or scuba diving. 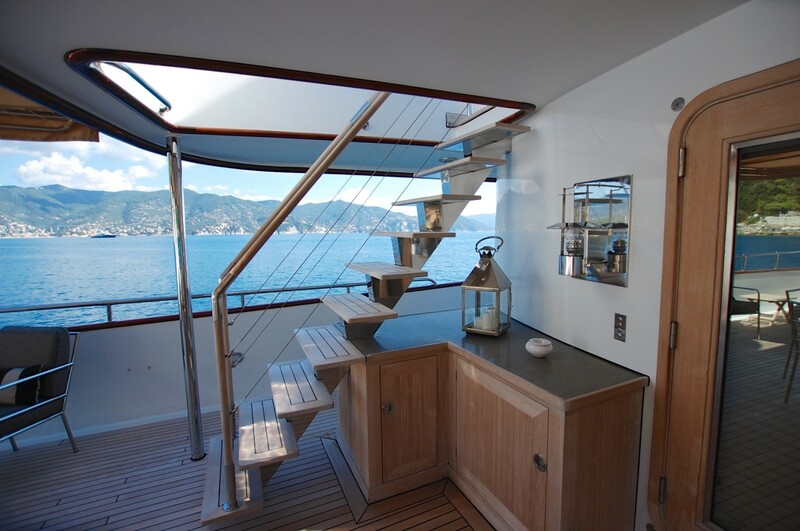 There is also a well-designed stairway which leads to the main swimming platform – which can be lit up at night with underwater lights. 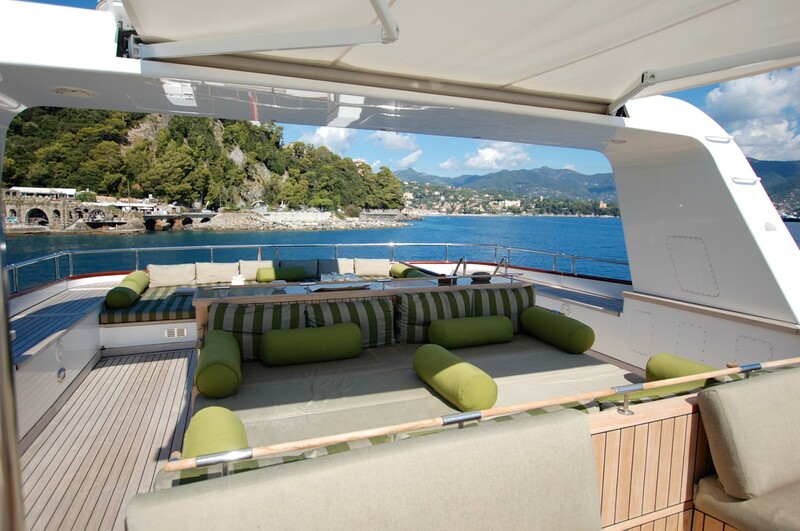 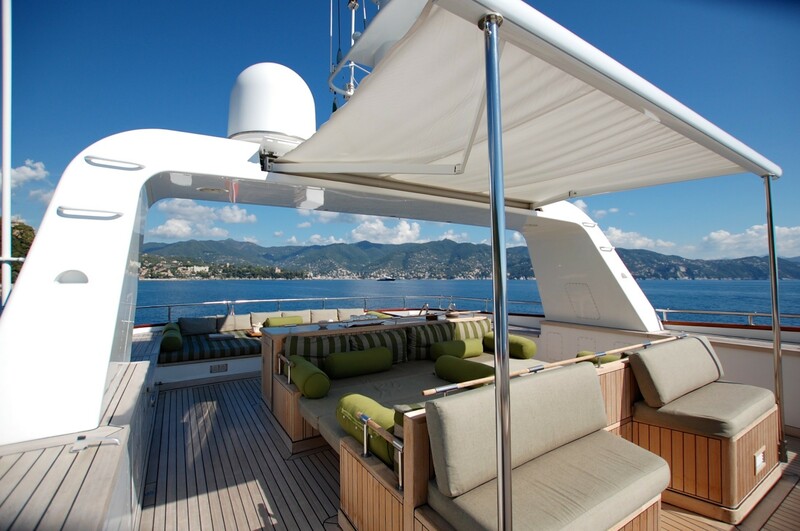 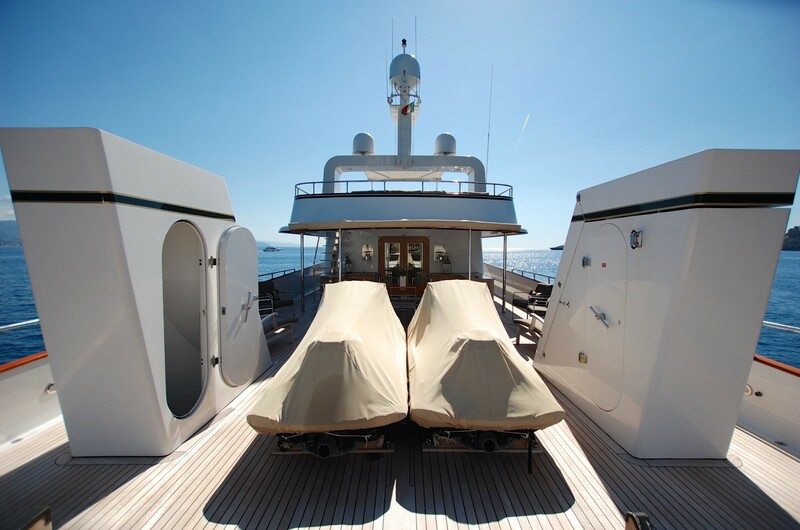 Motor yacht 'IL Cigno's sun deck has two large distinct fully cushioned sunbathing areas, one of which is protected by a retractable awning. 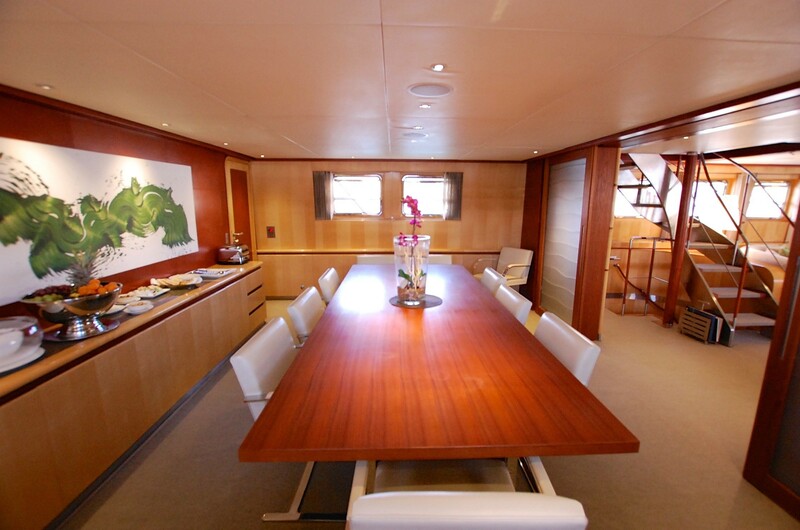 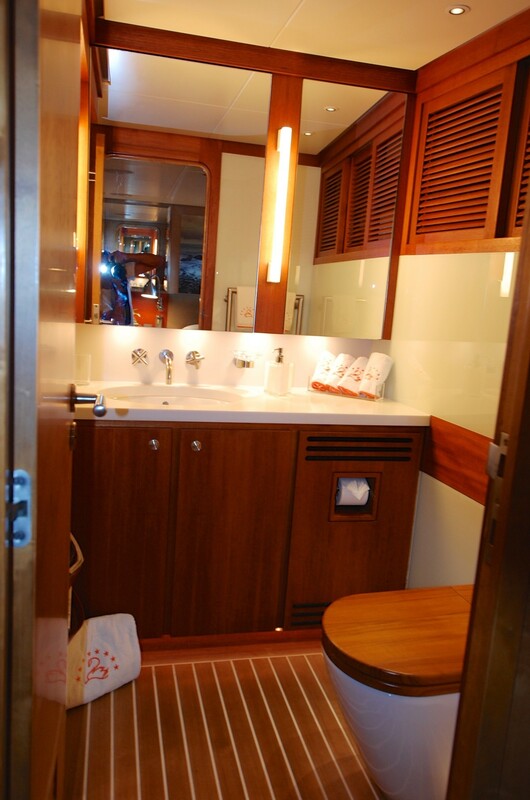 There is also dining facilities, as well as a drinks fridge and CD player. 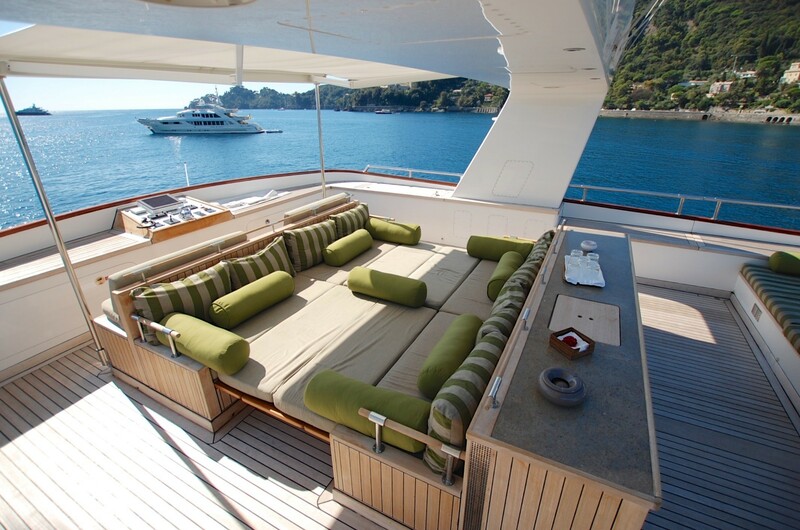 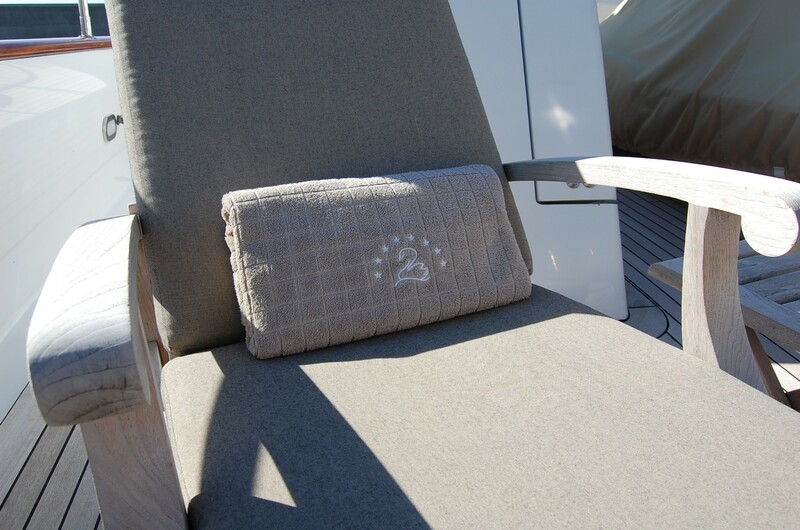 The sun deck offers complete privacy and independence for guests notwithstanding its 360-degree panoramic views. 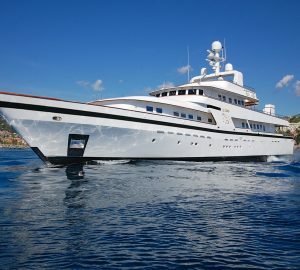 Luxury motor yacht 'Il Cigno' accommodates 10 guests with her master stateroom which is on the main deck and has a spacious private office adjoining, a King size bed, en-suite bathroom with Japanese bath & separate shower as well as full access to the yacht's entertainment system via touch screen remote control. 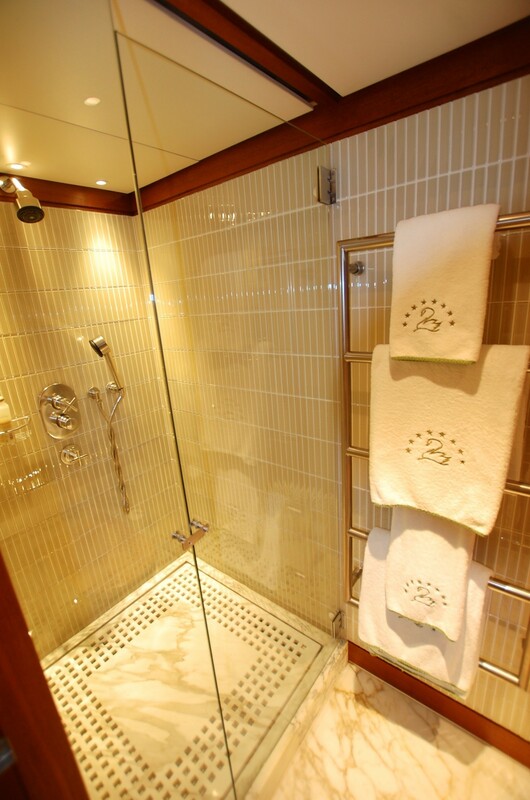 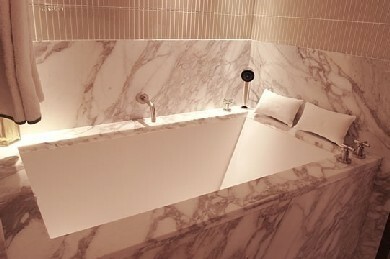 This means you can escape and relax in total privacy. 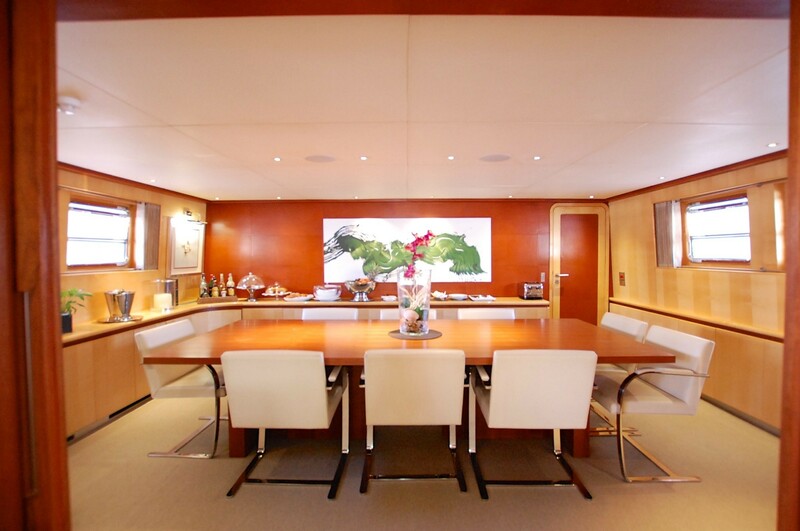 The layout of luxury motor yacht 'Il Cigno' means her owners can have the choice of a very relaxed, open plan dining area inside or a completely closed off area for more intimate occasions. 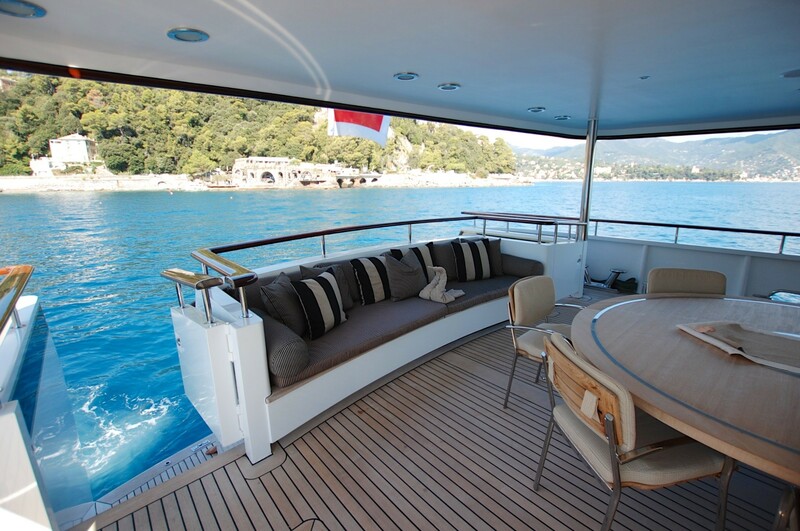 'Il Cigno' has a range of extras and amenities.